Everyone wants to make sure their building is safe. That’s why we have required safety features, safety devices, and rules that must be incorporated in new buildings. Safety may not be the first thing discussed in a building’s plans, but it’s important and worth taking the time to make sure it’s done right. The purpose of an exit door is to provide a safe exit from the building or room, protecting the life in it. These devices are designed for simple use, even in the dark. Simple, intuitive design makes the devices easy to use, especially for the elderly and children. 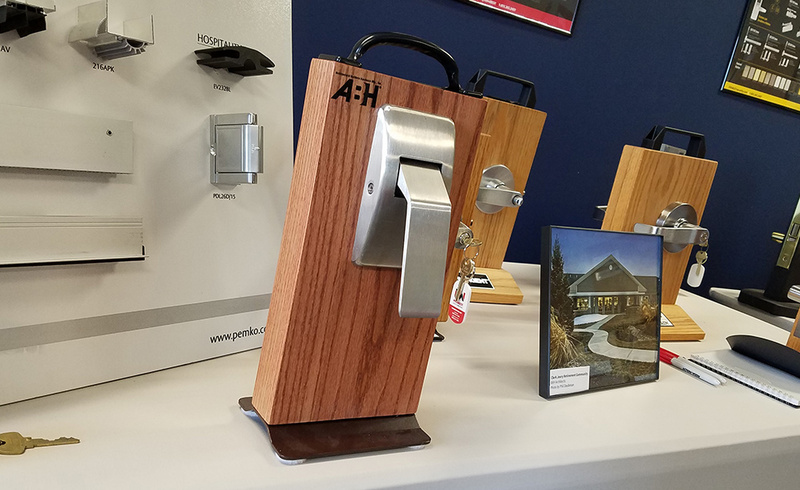 To start, it’s important to know why your safety and security door and hardware are there. Life Safety Codes require exit devices for specific construction situations. Most codes prohibit the use of any other kind of lock or mechanism on the door that would prevent use of that door for its purpose. We’ll look at the two types of exit devices that are commonly used in new buildings. PANIC DEVICES & FIRE DEVICES: WHAT’S THE DIFFERENCE? There is one main difference between panic and fire devices. That difference is that locks on fire doors must be self-latching. This means the latch bolt cannot be retracted to keep the door from latching. It also requires that fire doors have door closers so they are self-closing. Panic devices are exit devices tested for use on doors that are required to have panic hardware. 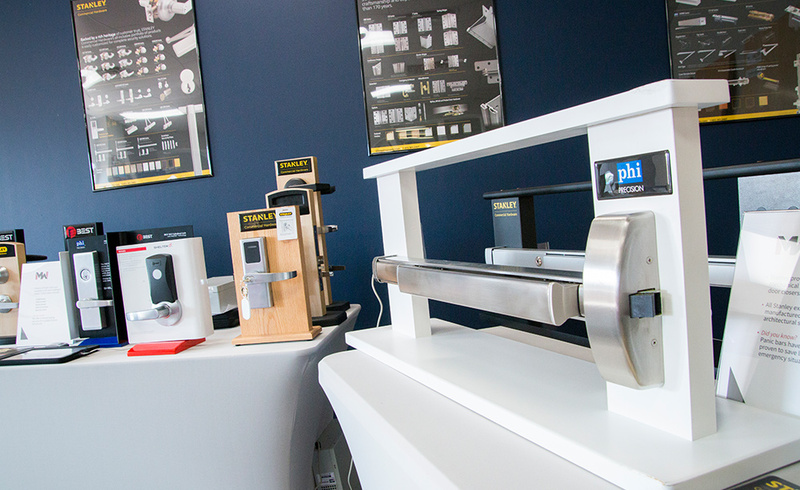 These devices can also be used on fire-rated doors. This type of hardware typically has the dogging feature. This allows the latches to be held retracted to create a push/pull function. 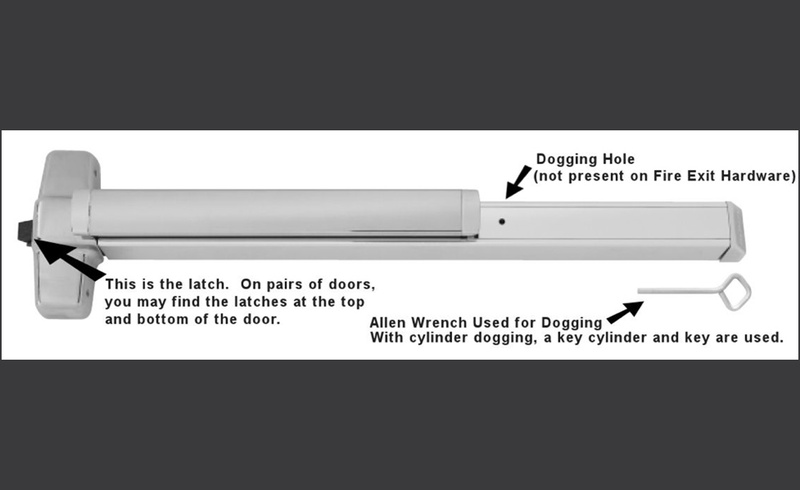 Dogging is the mechanical or electrical retraction of a latchbolt to provide push/pull operation during heavy traffic periods to reduce wear on the mechanical parts. Fire-rated exit devices are tested for both panic and fire conditions. These doors are not usually found on the outside or perimeter doors, where owners typically want to add security. While a fire exit device provides egress, it also maintains building separation. If there is a fire, the fire door and all of the products mounted to it will prevent the spread of the fire. Since fire doors require positive-latching, fire exit hardware does not incorporate mechanical dogging. These types of devices are also made with heavier parts than panic devices, as well as additional parts. This causes the latch bolt to deadlock in the event of a very hot fire over a period of time. If a push/pull function is desired for a fire door, electric latch retraction hardware may be installed, as long as it is synced with a fire alarm system. This will allow the door to properly close during an alarm. Most buildings fall under the code which only allows one lock per door. One of the main criteria for exit doors is that they can be opened in one motion. Adding any extra kinds of locks to the door could cause panic or confusion when someone was trying to exit the building in an emergency. There is only one exception to this rule, which is a “special locking arrangement”. This is an extra lock which is allowed that much be synced with the fire alarm system. When the fire alarm sounds, the lock must release immediately. These kinds of locks are special and must be approved by the Fire Marshall. Safety is a key factor when it comes to designing your building. 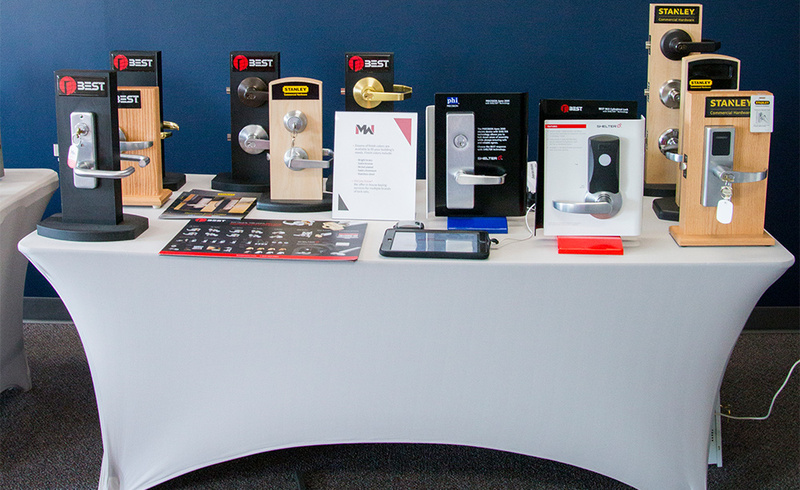 We are here to answer any questions you have about exit devices and hardware. Give our team a call at 402-464-6348.